Offshore Towing Inc (OTI) has completed the refurbishment of its 1974-built 9000hp-class tug Zion Falgout at the Conrad Deepwater shipyard, in Morgan City, La. 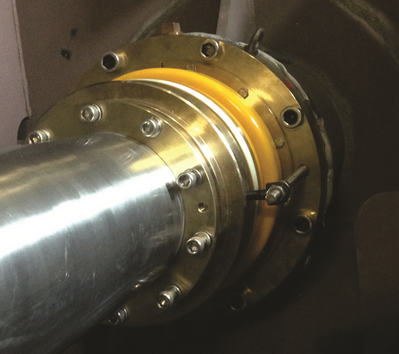 During the retrofit, Thordon Bearings worked with E J Fields Machine Works and Conrad Deepwater, both in Morgan City, to expedite the installation. The forward end of the shaft line was undercut and then clad-welded with stainless steel to prevent corrosion after which the shaft was returned to its original size. This gave the seal a smooth corrosion-free surface on which to operate. E J Fields also fabricated a mounting plate which the yard welded to the stern tube.